This review of AGL Health Assurance Insurance Company deals specifically with a Houston-based company known as American General Life (AGL) Insurance Company. This company was chosen for review due to the fact that there is much confusion over the “AGL Health Assurance” name. There appears to be a company that existed at one time using that name, but it has either ceased operations or been merged with another entity. Enter your zip code now to see side-by-side health insurance rates from America’s best providers. Several resources indicate that the original AGL Health Assurance was incorporated in 1960 to sell specialty life insurance products. According to records from the state of Texas, the corporation was licensed there in the 1990s. Those same records indicate the company was acquired by Philadelphia Financial Life in 2010 and renamed. However, Business Week claims AGL Health Assurance is now a subsidiary of PFG, Inc.
American General, on the other hand, is very clearly a successful life and health insurance carrier that has been in business since the turn of the 20th century. They operate a subsidiary in Schaumburg, Illinois under the name of American General Assurance company. American General provides insurance policies for both businesses and individuals, including individual health, life, and long-term care. They also offer annuities at the consumer level. It appears that American General prefers a direct-to-customer model rather than utilizing local agents. Among all of their subsidiaries, it appears that AGL covers almost the entire United States at the corporate level. Customers interested in researching and purchasing American General products can do so by contacting their Texas headquarters directly. Representatives there can either help you directly or redirect you to the correct office. While there are benefits to utilizing local agents, some companies prefer the direct-to-customer model because it eliminates some of the inherent difficulties of using a middleman. Corporate agents can work directly with customers to customize policies, follow and process claims, and so on. On the other hand, some customers feel as though they can develop a more personal one-on-one relationship with a local agent; something they cannot do with the corporate agent who may be thousands of miles away. American General is a company striving to fully embrace modern technology. Therefore, they have set up a comprehensive online platform to make the customer experience as efficient and streamlined as possible. Through the online platform, customers can manage their accounts, purchase new policies, modify existing policies, make payments, and file claims. Of course, you can always call the company and speak directly to a representative if you prefer. In terms of making a claim, working with American General will be no different than any other insurance company. You may file a claim using the online platform, though even if you do a representative will contact you directly to finalize the details. Once a claim has been reviewed and determined that payment is appropriate, the company will issue a check in as timely a manner as possible. If claims are rejected you should receive a written explanation as to why. As far as customer reviews are concerned, American General enjoys an overall positive reputation. Customers who are pleased tend to write good things about the online platform as well as about the helpful and friendly representatives available when you call. Reviewers lauded the company for quick and efficient claims service, fairness, and quality insurance products that met their needs. There were few negative reviews found about this company. Reviews from financial rating services companies like AM Best further indicate that American General is on solid financial ground. The company consistently receives A+ ratings for both financial stability and long-term outlook. These ratings indicate that American General will be able to meet short-term obligations, pay claims, and set the stage for future growth. 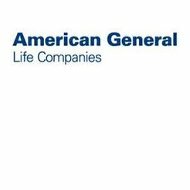 Individual ratings for American General’s subsidiaries were not available. AGL Insurance Company does offer a limited number of opportunities for independent agencies who provide life insurance and annuity products. Information about those opportunities can be had by visiting the corporate website and following the “careers” links. For candidates interested in working directly for American General, their website also provides plenty of information. They state that they are always looking for both experienced and inexperienced insurance professionals who can learn their business and represent them properly. The company website states that thousands of opportunities currently are available at their corporate offices around the country. Interested candidates can click a link that will redirect them to American General’s parent company, SunAmerica Financial Group, where they will find job postings and application instructions. The company promises excellent compensation and a work environment that promotes teamwork, company success, and individual growth. If you are in the market for health insurance quotes, simply enter your zip code now to start your search.